Varieties of Zucchini - What's the Difference? 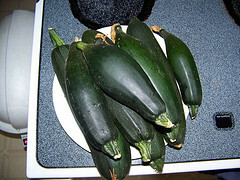 There are several varieties of zucchini available to the backyard vegetable gardener. Each one has it's own unique feature that distinguishes it from other varieties. It may surprise you to learn that not all zucchinis are dark green and cylindrical. We are often asked about our favorite variety of zucchini. 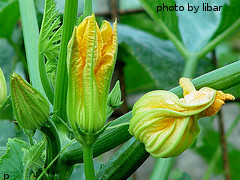 We like Cocozella Di Napoli, which is an Italian heirloom zucchini. It has good disease resistance and features pale green fruit with dark green stripes, ribbed at the stem end, wonderful flavor that is sweet and almost nutty. Here is a list of some of the more common zucchini varieties, along with fruit and plant descriptions.